Lake of the Ozarks, Mo. – Regarded as the most influential rock band in history, The Beatles landed a record of number one hits throughout their 10 years together and still hold the mantle of being the best-selling band of all time. 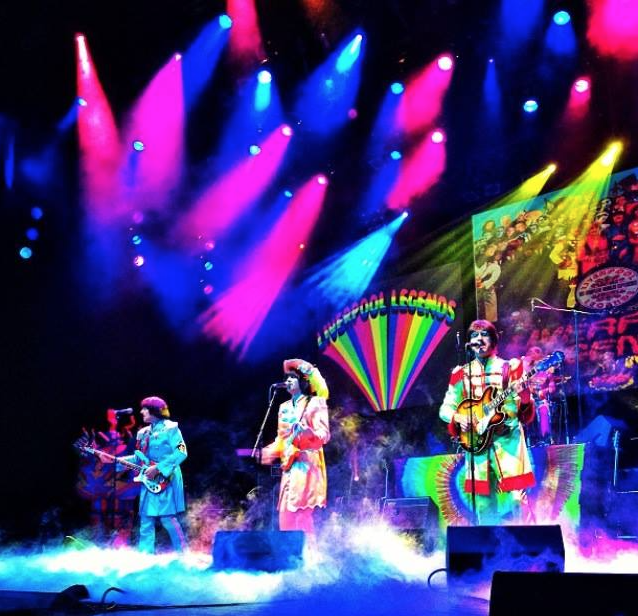 On Friday and Saturday, March 9 and 10, the Liverpool Legends bring the catalog of Beatles hits to life at the Main Street Music Hall in Osage Beach. Liverpool Legends return to Main Street Music Hall in Osage Beach February 9 and 10. Hand-selected by Louise Harrison, the sister of The Beatles late guitar virtuoso, George Harrison, the members of Liverpool Legends lend a credibility to their tribute act that no others can match. 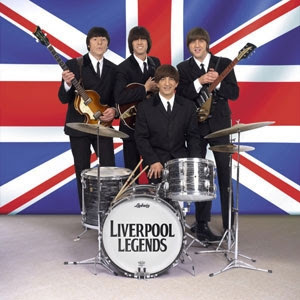 Picked for their musical ability, stage presence and striking resemblance to the original “Fab Four,” the Grammy-nominated Liverpool Legends have entertained audiences the world over for more than a decade. The Legends return to Main Street Music Hall, 5845 Osage Beach Parkway, for the tenth year. One of the most highly anticipated winter events at Lake of the Ozarks, the Liverpool Legends shows always draw a packed house for their two-night run. The Legends embody The Beatles in all their different incarnations. 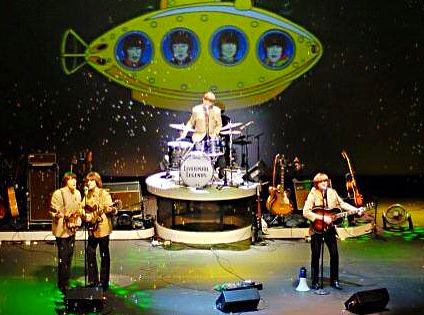 The Legends have played all over the world bringing the music of The Beatles to new generations of fans. The Legends’ lauded performances have garnered them appearances on many national television broadcasts, including CNN, NBC and CBS, and have received critical acclaim from some of the biggest names in show business. Recently, Liverpool Legends played for 68,000 fans at the Rose Bowl in Pasadena, Cal., performed for a sold-out crowd of 17,000 in Mexico City and showcased their talents at Carnegie Hall in New York City to mark the 52nd anniversary of the Beatles taking over New York in 1964. The Lake of the Ozarks shows will be held at 8 p.m. on Friday and Saturday, March 9 and 10 at Main Street Music Hall. Premium seats are $30 for adults and children; regular reserved seating is $25 for adults and $20 for children. Tickets to see this Grammy-nominated group can be purchased online at www.FunLake.com or by calling the Main Street Music Hall at 800-348-9501. Many Lake-area lodging facilities are offering specials on overnight accommodations for those traveling to the Lake of the Ozarks for this installment of the British Invasion. A complete list of lodging options available at the Lake can be found by clicking on the “Lodging” tab on the Lake of the Ozarks Convention and Visitor Bureau’s website, www.FunLake.com, or by calling 1-800-FUN-LAKE (386-5253). Additional winter events, as well as year around attractions and information on all dining options available at the Lake, also can be found at www.FunLake.com, or by calling 1-800-FUN-LAKE (386-5253). For media assistance or high-resolution photography, please call The Beenders-Walker Group toll-free at 1-800-544-8474 or email Marjorie Beenders, Jo Duncan, or Kyle Stewart.